ABOUT : Take in more flavor and better texture to your recipe with Weikfield Baking Powder. It gives rich, aromatic and yummy; Weikfield Cocoa has been a market favourite. 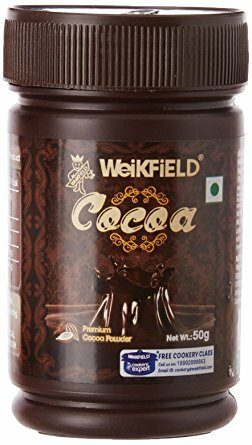 This low fat cocoa powder is the great component for all sorts of chocolate flavoured confectioneries, desserts and sauces.